The DMG-01 Gameboy runs off all 5V logic and the FPGA I will be using (Cyclone 4 Altera) runs off 3.3V I/O. Conversion is needed to prevent frying the FPGA. I have used the TI part SN74LVC8T245 in the past with other FPGA projects and on the proof of concept VGA mod with the DE0 dev board. The SN74LVC8T245’s output enable is active low so I pulled it high with a 10K resistor. 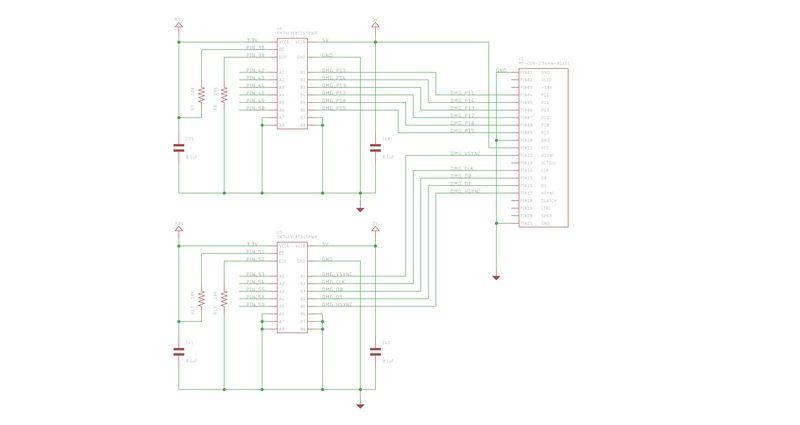 This way the convertor is disabled till the FPGA can control the IC. Direction is set by default to be 5V -> 3.3V conversion with a 10K pull down. I am also going to pull in the state of the buttons on the Gameboy. 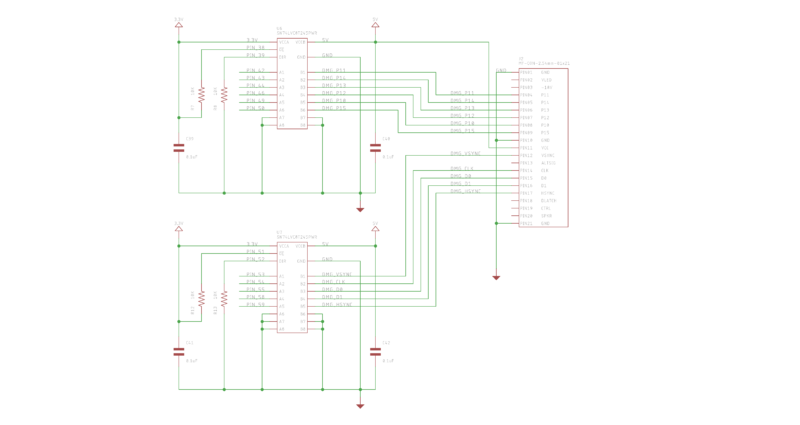 I hope to be able to have different modes that the FPGA can perform. Resolution changes and the like. Eventually I will design it so that FPGA can also drive the screen but that will probably be a future hardware revision.